Here we go again! We love this choosing different talent each week! We're excited to announce our new Talent of the Week. 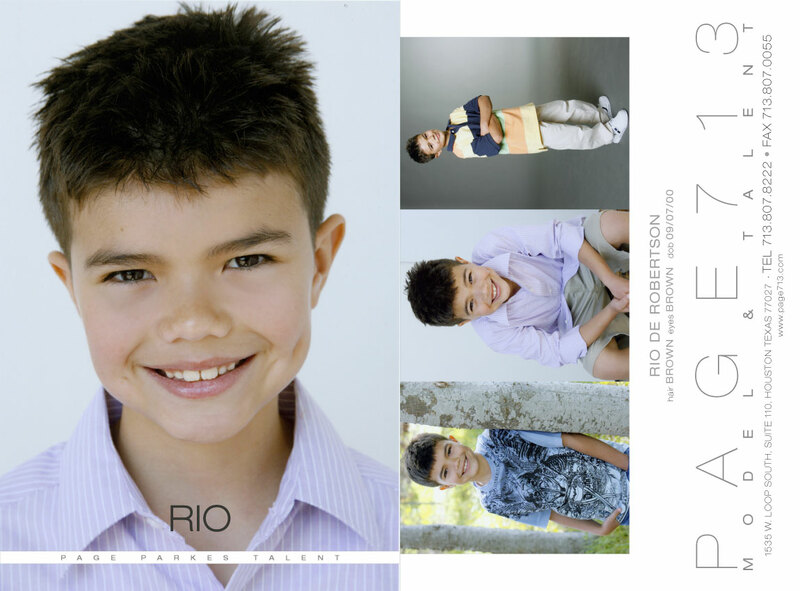 And this week's Talent of the Week is...Rio de Robertson! Rio recently booked Blue Bell and we are so excited for him!! Rio and his mom, Violet, are easy to work with and always accommodating. We appreciate their hard work and Rio's thoughtfulness- he is always writing thank you notes!!! Woo Hoo! I am so proud of you Rio! You have a way of bringing smiles to this world. Great things are in store for you.